Now it's been a couple of weeks since we got back from our trip to Taiwan. 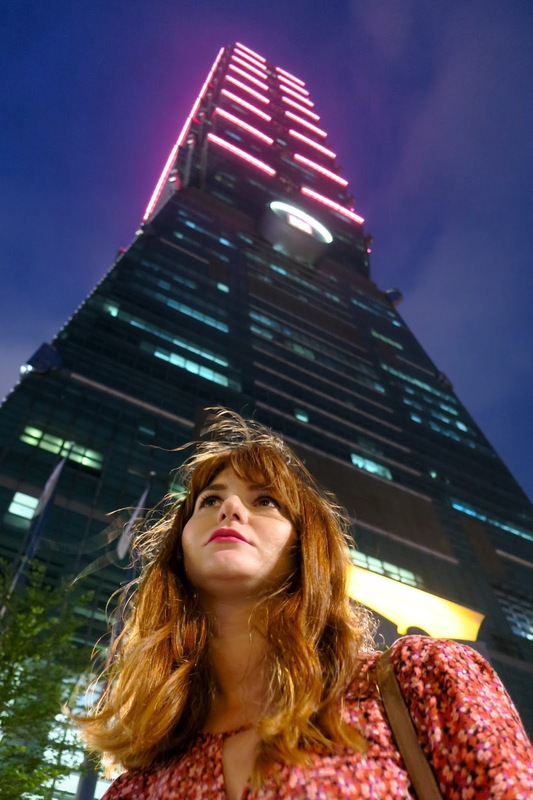 We've already had some amazing days back in Brooklyn, but today, I wanted to share our adventures in Taiwan. Finally, I've had some downtime to power through the massive collection of photos commemorating our time. We arrived at 5 am Saturday morning local time after spending 14 hours on the plane and losing a day to time zones. Not much was open at that hour on the weekend (or any day, we came to find out), so of course...being the Americans that we are...we ended up in a Starbucks to catch our bearings. I was fascinated by the different offerings and ended up with a rose milk latte and a taro tea. We instantly fell in love with Taipei's metro system. It was easy to navigate, super clean, and even had photobooths-complete with cute cartoon characters. The trains literally appeared on the minute. Our first day we wandered around the neighborhood we were staying in, Daan, passing through New Taipei University to the river. In the evening, we went to our first (of several) night markets. It was crazy busy, bright, and full of sights and smells. No stinky tofu for us. We made a bit of a routine with Chinese breakfast. With our jet-lag we were up early and these open-air, quick cooking places are 24 hours. We were partial to the Chinese pancake with scallion eggs-covered in chili sauce. We are big fans of city parks, so walking around Daan was a taste of home with an Asian flare. We saw people practicing Tai Chi which was a check of the sights-to-see list. In the afternoon, we headed to Wistaria tea house. It was such a serene spot in the middle of the city. We (semi)mastered the tea ceremony after our day trip to Jiufen. It was nice to chat about the plan for the rest of our stay in Taiwan. We kept our itinerary pretty loose, booking AirBnBs and trains pretty much day of. We had a date night at Din Tai Fung. Preston was excited to try soup dumplings. We psyched Preston's family out with our Michelin star 700 dollar bill (the equivalent to about $22 US dollars). Dessert was mango shaved ice at Ice Monster. It was delicious. 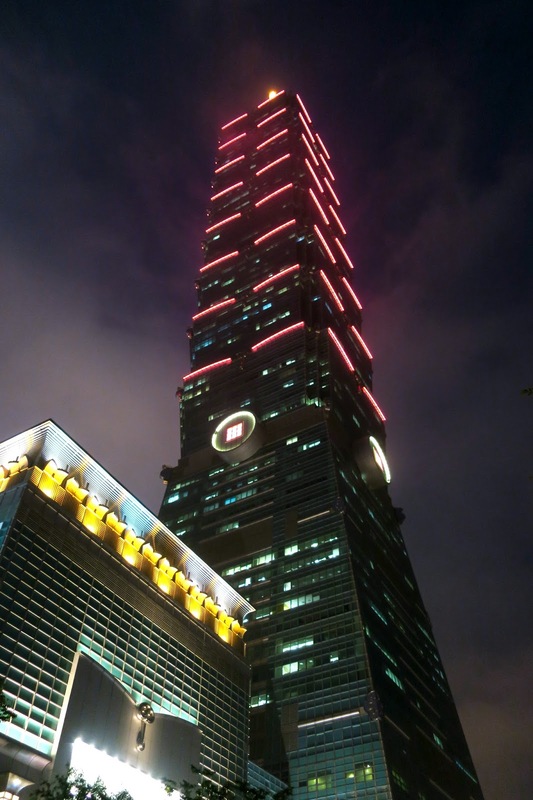 Then, we took an evening walk to Taipei 101. It was massive. I love its pagoda-esque features.